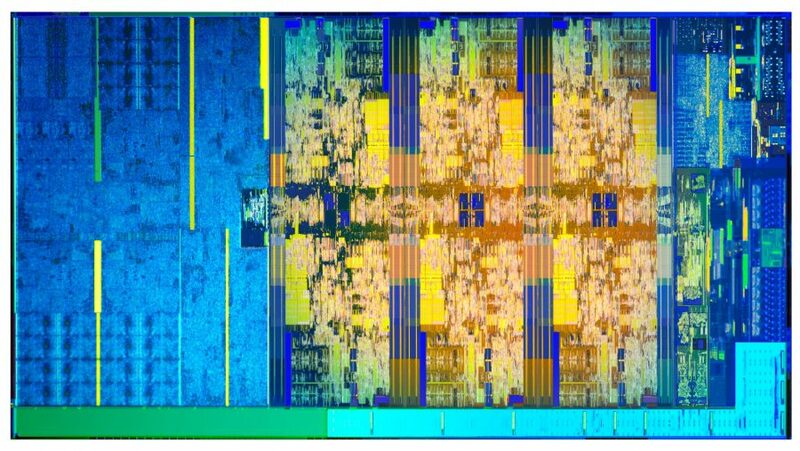 The top Coffee Lake CPU right now, and the first Intel response to AMD's Ryzen. So, how does it compare? 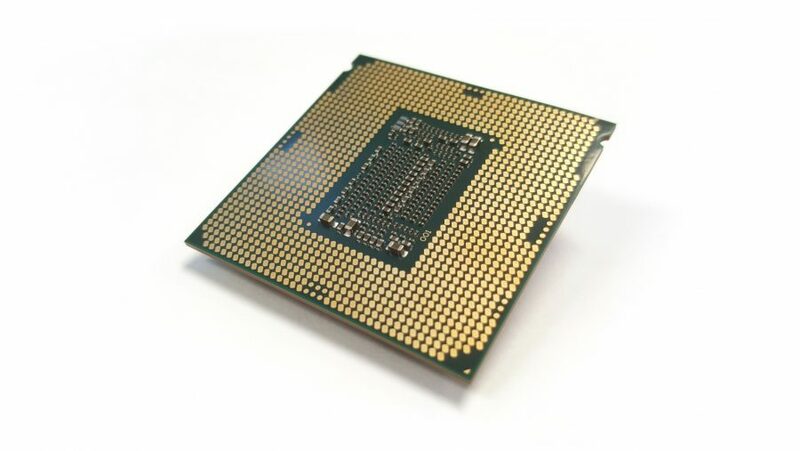 The Intel Core i7 8700K CPU was the first processor from Intel’s 8th generation of chips. And, despite the myriad rumours of future Core i9 octa-core CPUs, and refreshed lower-end variants, the vanguard of Coffee Lake is still an intriguing proposition. The CPU benchmarks are in, so how does it compare to AMD’s Ryzen? Now the new AMD Ryzen 2 CPUs are making life rather uncomfortable for top Intel gaming CPUs. With this chip topping out at 12 threads and its main rival hitting 16 threads it’s got a fight on its hands. But the 8700K represented the first genuinely relevant Intel processor launch since AMD got back into the CPU game with their Ryzen chips back in 2017 and was the first of its standard desktop chips to give us more than four cores in our rigs. Of course, we had the mine’s-bigger-than-yours playground scuffle between the ultra-enthusiast (read: willy-waving) server-derived Threadripper and Core X parts, but they represent such a tiny percentage of the processors us normal humans will buy that they’re essentially supercar-like chips for the super-rich. Well, except the poor li’l hexcore i7 7800X. That’s turned out to be more like a kit-car, with the body of a Lamborghini Countach and the engine of a Mini Metro, because this hot Intel hatchback chip had it beat on the drag strip less than three months after launch. Pricing has settled down now, as stock filtered back into the channel, with the Core i7 8700K now shipping for $347 (£313). These Intel 8th Gen, Coffee Lake CPUs are the ones meant to form the bedrock of our gaming rigs for the next year (give or take a few months) and they’re a great barometer of the processor market circa 2018. The fact that Intel introduced a new generation of chips less than a year after the 7th Gen Kaby Lake CPUs shows its unwillingness to cede the mainstream market to AMD’s multi-core Ryzen offerings. The 8th Gen wasn’t meant to launch last year; Intel pulled in pretty much every single CPU release since AMD unveiled their Zen processor architecture, and getting an early start on Coffee Lake was worthwhile given that the AMD Ryzen 2 CPUs landed in April this year. 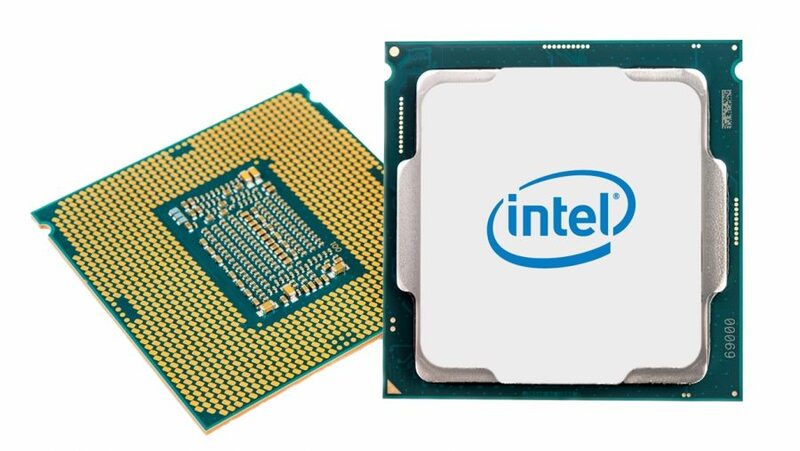 Coffee Lake, represented here by the top processor in the Intel 8th Gen lineup, the six-core i7 8700K, is a necessary reaction by the chip giant to its rivals massively upping the core-count of its latest processors. But it’s almost just a temporary bandage for Intel’s CPU range while it continues to struggle with its main focus, getting those darned 10nm transistors functional, affordable, and reliable. The big news for the Intel Coffee Lake range is that this is the first time the mainstream core-count has been boosted in nearly ten years. 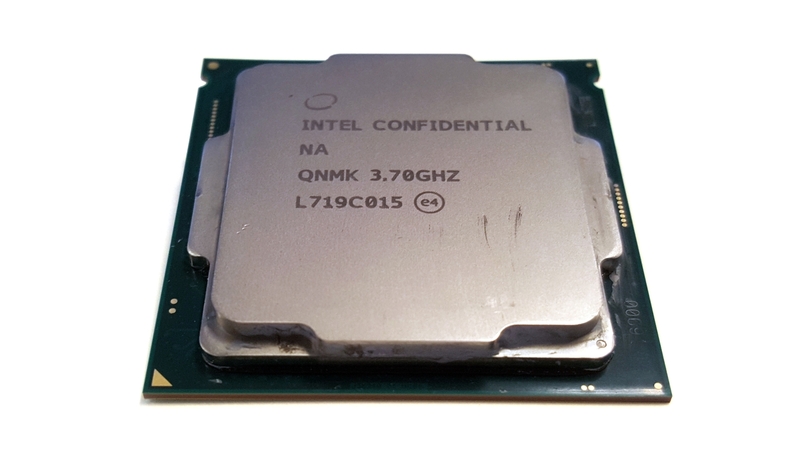 The Core i7 8700K is the six-core / 12-thread flagship for the 8th Gen, delivering another pair of full Intel cores compared with the quad-core / eight-thread Core i7 7700Kreleased in January 2017. It is, however, still essentially the same base architecture as the Kaby Lake – and therefore Skylake – processors we’ve already seen. There are some minor revisions, with a more mature 14nm production process, laughably referred to as 14nm++, and the extra cache those two extra cores bring with them. But at the heart of this is a further optimisation of the same aging Intel Core architecture we’ve been using for a good few years now. The clockspeed has both been dropped and boosted in terms of the base clock and Turbo frequencies. While the outgoing 7700K sported a 4.2GHz base, the 8700K has a surprisingly low 3.7GHz clockspeed out of the box. That’s doesn’t tell the whole story, however, as the maximum Turbo frequency has been boosted from 4.5GHz on the top Kaby Lake core to 4.7GHz. Those are only the maximum speeds you’ll see when a single core is stressed as opposed to what you’ll see in terms of all-core speeds. It breaks down so the CPU’s dual-core max speed is 4.6GHz, the quad-core is 4.4GHz, and in our MSI Z370 Pro Carbon we had the 8700K sitting pretty at a standard 4.3GHz when we were pushing all of its six cores to their limits. Elsewhere it’s pretty much the same story as with Kaby Lake. We’re still talking about the same 16 lanes of PCIe 3.0 support from the CPU itself, with a further 24 on offer from the Z370 chipset, and the same LGA 1151 CPU socket. Well… kinda. The Z370 chipset does use the same socket as Kaby Lake and Skylake’s Z270 and Z170 chipsets respectively but there is no inter-compatibility between them. You can’t yet buy a Coffee Lake CPU and drop it into your existing 200- or 100-series motherboard, or vice versa. On the surface that seems like an arbitrary, artificial restriction put in place by the chip maker to force people into an unnecessary upgrade. But, in reality, I think it was an absolute necessity because Coffee Lake had to beat Ryzen. The new socket has been designed specifically to deliver the extra power those six-core CPUs demand over the old quad-core design. A quick look at the TDP rating of 91W vs. 95W between the Kaby and Coffee Lake processor might have you performing an incredulous spit-take, but this extra power was never about the stock performance of the relative CPU generations, it’s all about overclocking. The original Coffee Lake engineering samples were tested using the Kaby Lake chipset, which would indicate the new processors could still run on a Z270 board if Intel wanted to. But if I were a betting man I’d gamble that a Z270 wouldn’t be capable of delivering the overclocking performance the Coffee Lake processors need to in order to match AMD’s eight-core and six-core Ryzens. The 8700K needs all that improved, consistent power delivery the Z370 is pushing its way. If Intel hadn’t created the overclocking support for Coffee Lake they would represent nothing more than a six-core version of Kaby Lake. That would probably not be enough to convince people the Core i7 8700K was still worth a look in the face of the cheaper Ryzen 5 1600X and its six-core / 12-thread configuration. At least with the 300-series chipset they’ve got more serious overclocking chops to offer too. It’s still rather galling that the non-K-series, and lower core-count, parts remain incompatible with the last-gen chipsets. But I guess once Intel had made the decision to limit one part of the Coffee Lake puzzle to the Z370 it had to stick to its guns and refuse access to the other chips too. If nothing else, the 8700K is capably highlighting exactly how much difference having six cores over four cores actually makes when it comes to gaming. Practically none. Put cheek-by-jowl with a Kaby Lake 7700K – itself hardly a revolutionary chip – there’s almost nothing to choose between them. In fact, at stock settings we actually see a couple of instances where the higher-clocked Kaby Lake CPU delivers a few extra frames per second. I – foolishly, it turns out – thought the DirectX-12-based Hitman and Rise of the Tomb Raider might deliver some performance differential because of the extra cores, but neither they, nor the Vulkan-powered version of Doom, could offer any multi-core succour. The only game that really shows any genuine benefit from the extra Coffee Lake cores is the DX12 version of Civilization VI. This is game which greedily gulps down as much CPU power as you can feed it. 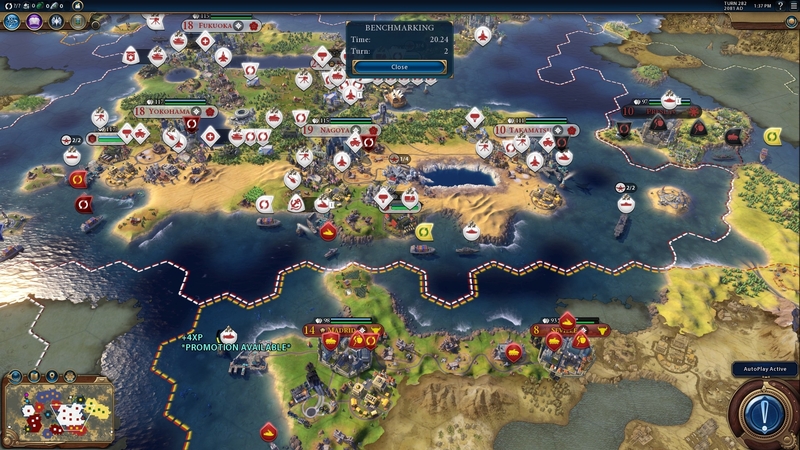 While the performance of the other titles in our benchmarks is far more reliant on the pixel-pushing prowess of your graphics card, Civ VI takes full advantage of every bit of hardware you have to offer it. So, as far as Intel’s claims about it being it being its best gaming CPU go, it’s a bit of a stretch. Civ’s increased performance isn’t really enough to make us go weak at the knees over the potential frame rate increases it could offer. Certainly anyone sitting on a 14nm i7 has no reason to be worried. There is, of course, still Intel’s latest buzzword: mega-tasking. Can you feel that acid taste burning at the back of your throat? Yeah, that’s mega-tasking. Makes me want to rip out my own intestines so I’ve got something to loop over the rafters and string me up once I kick away the stool. Anyways, mega-tasking is the abhorrent term Intel uses to mean gaming, recording, and streaming at the same time. For the ultra-niche that potentially makes the extra four threads of the 8700K a more interesting prospect than the old 7700K was. Maybe not as interesting as AMD’s much cheaper, still six-core / 12-thread Ryzen 5 2600, or an equivalently priced eight-core / 16-thread Ryzen 7 2700X, though. Not at stock clockspeeds at least. Ah yes, Ryzen. The 2600 has the same core configuration as the more expensive Core i7 but Intel’s historic per-core gaming performance is still in evidence with Coffee Lake. But it’s getting to the point, with increased DirectX 12 support from modern games, where there isn’t such a huge difference between the Intel and AMD gaming results any more. Certainly not when there’s a pretty hefty price differential between them. 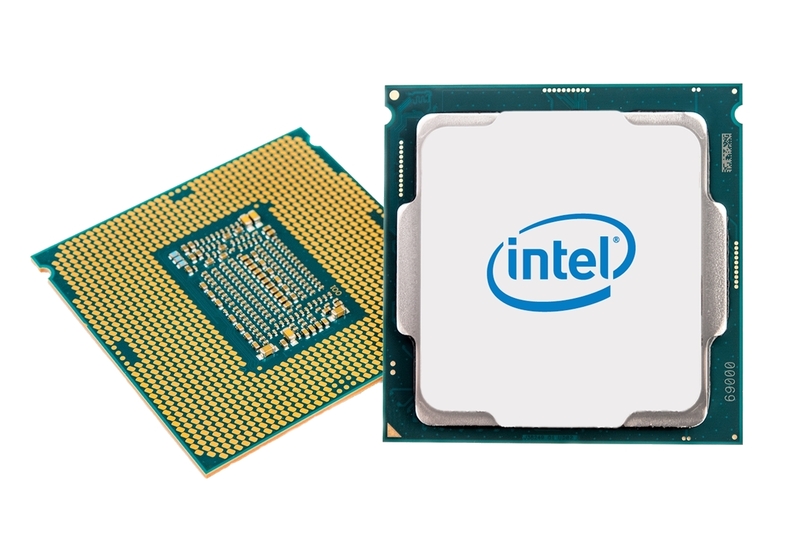 On the straight CPU performance metrics, however, Intel’s new chip has far more going for it. Its stock performance is well in advance of the AMD processor’s maximum overclocking results, with the Cinebench rendering and X264 video encoding tests highlighting where the Intel architecture has got the goods. It’s the same story looking at the compression and extraction figures too, with the 8700K taking a third less time to compress a 5GB folder of mixed media and 13% quicker at extracting the same thing. And when you throw in the mouth-watering overclocking performance of the Coffee Lake chip you get performance that bests even the $320(£278) Ryzen 7 2700X, well in gaming anyways. But that’s why Intel had to get the peak overclocking performance into the new platform, and had to lock out any hope of getting a Coffee Lake CPU running in a 200-series motherboard. They needed the extra power because they hadto beat Ryzen. Intel’s Coffee Lake lineup has been created with a very clear objective: beat AMD’s Ryzen processors and do it quickly. To that end they’ve pulled in the launch date of this 8th generation of their Core architecture so they arrive before the end of the year and have finally delivered the first Intel hexcore to the mainstream end of the market. But while they’ve largely succeeded in their key objectives, that’s both a boon and a detriment to the Core i7 8700K. The six-core / 12-thread i7 is capable of outperforming the best the eight-core / 16-thread AMD’s Ryzen 7 can offer, once you pull some overclocking shenanigans. The cheaper Core i5 8600K does the same job on the Ryzen 5 2600, despite having half the thread-count. That’s all great, but it has come at the cost of cross-generational compatibility, and only really bests the Ryzen 2 chips by the smallest amount. It’s likely this need to best Ryzen, at all costs, which resulted in the latest chips not being compatible with the 200-series boards that launched at the start of the year. Because they needed that overclocking performance Intel required a new chipset capable of delivering enough power to get those extra cores well over 5GHz. It also means we’re essentially looking at a stop-gap solution, another 14nm ‘optimisation’ on the way to potential octacore CPUs next year sitting in a new Z390 chipset. As Intel’s capability to deliver consistent die-shrinks is on the decline, the rate at which top-end chips are being replaced seems to be rapidly increasing. The i7 8700K has arrived, cannibalising the 7th Gen processors in both standard and Core X-series trim. I’d feel bad for Kaby Lake, only allowed ten months of life, if it didn’t represent such an utterly uninspiring set of CPUs. I do feel much worse for the Skylake-X mayfly, the Core i7 7800X, which lasted a scant three months in the wild before being castrated by its makers, and most of all I feel for anyone who spent actual money on getting that chip into their X299 rig. I don’t feel sorry for any of the mugs who bought either the i7 7740X or i5 7640X, however, they deserve everything they get… except for sympathy. But what does this impressive Coffee Lake core upgrade mean for gamers? Almost nothing. Only Civ VI delivers any performance boost over the Kaby Lake i7, showing once more how little relevance an increased thread-count has for most gamers. 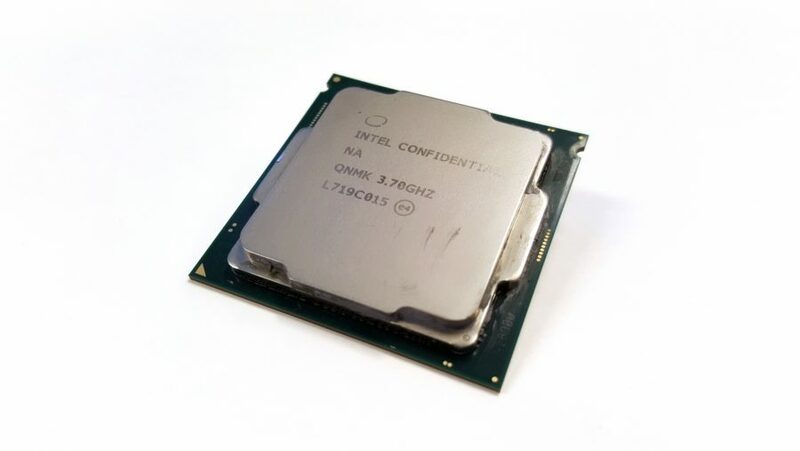 The i7, then, is overkill for us, more so than with any previous Intel generation. It’s also likely to rather expensive with global stock shortages likely to artificially inflate the price of the entire Coffee Lake range. But still, the fact remains that your new Coffee Lake i5 is able to deliver more than enough performance for our gaming needs, and so does the much cheaper Ryzen 5 2600, so that’s where the smart money goes. The Core i7 8700K is a powerful Intel design, necessarily topping Ryzen’s finest in pure gaming, but despite its unprecedented overclocking performance it doesn’t actually deliver anything new for gamers.